Semente da serpente, ou linha de duas sementes é uma doutrina controversa, segundo a qual a serpente no Jardim do Éden terá acasalado com Eva, e o filho de sua união foi Caim. A doutrina de que Eva acasalou com a serpente, ou com Satanás, para produzir Cain também aparece nos escritos gnósticos precoces, como o Evangelho de Filipe (c 350. ); no entanto, este ensinamento foi expressamente rejeitado como heresia por Irineu (c. 180) e, mais tarde principais teólogos cristãos. Doutrina semelhante apareceu em textos midráshicas judaicas no século 9 e na Cabala. É considerada uma falsa doutrina pelos protestantes tradicionais. Teólogos católicos apontam para o fato de que a Bíblia afirma que o pecado original é o de Adão e Eva comer uma fruta proibida. 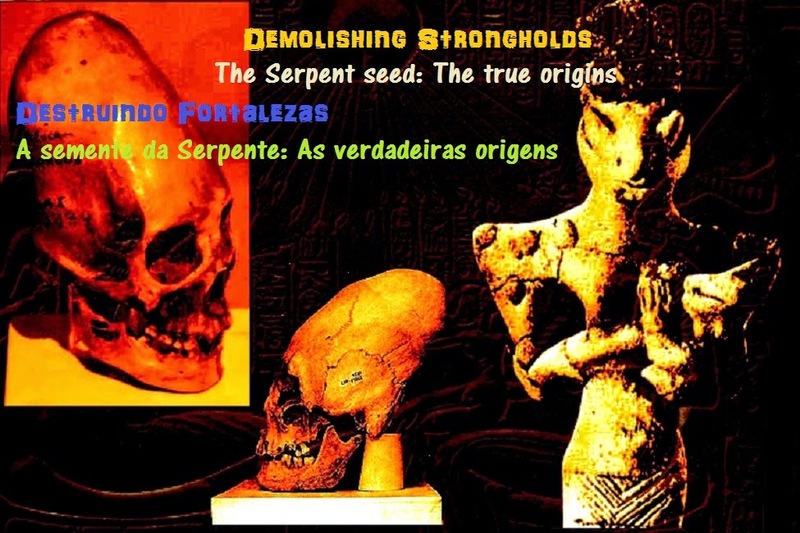 Serpent seed, dual seed or two-seed line is a controversial doctrine, according to which the serpent in the Garden of Eden mated with Eve, and the offspring of their union was Cain. The doctrine that Eve mated with the serpent, or with Satan, to produce Cain also appears in early Gnostic writings such as the Gospel of Philip (c. 350); however, this teaching was explicitly rejected as heresy by Irenaeus (c. 180) and later mainstream Christian theologians. A similar doctrine appeared in Jewish midrashic texts in the 9th century and in the Kabalah. It is considered a false doctrine by mainstream Protestants. Catholic theologians point to the fact that the Bible states that the original sin is that of Adam and Eve eating a forbidden fruit.